They are separated by history, geography and their lifestyle. 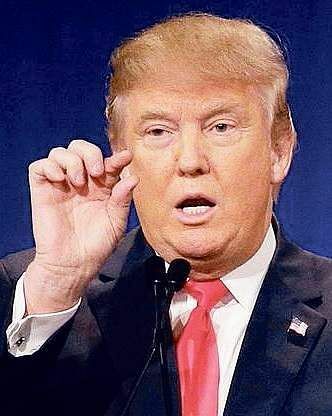 Donald Trump is a businessman and TV anchor who zooms around the world in a private jet and lives in a tony tower. Narendra Modi doesn’t have a house or a car to his name and used to live out of a one-bedroom house provided by the BJP. But it was these two men who dominated prime time debates and front page headlines across the globe last week. In the West, an aggressive and outspoken Trump trounced the politically-correct Hillary Clinton in the filthiest-ever battle for the 45th Presidency of the United States of America. He demolished credibility, acceptability and the dependability of the liberal American establishment. 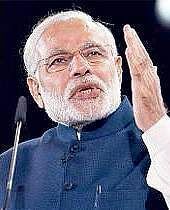 In the East, Prime Minister Narendra Modi burst the Indian movers and shakers’ bubble about their imagined control of the nation’s decision-making machinery with a 28-minute address to the nation. By withdrawing Rs 500 and Rs 1,000 notes, which account for over 85 per cent of the currency in circulation, Modi made one-third of India’s $2.5 trillion economy irrelevant. But it’s not just their ability to surprise the public time and time again that unites Trump and Modi. It’s also their outsider status. Trump, in spite of his opulence, has never managed to get his foot into the PLU (People Like Us) Club that’s peopled by old money with multiple degrees from elite institutions. Modi too has been deprived of that privilege in India. Which is probably why both have become darlings of the commoners’ club, the PLTs (People Like Them). Trump’s election got much more global attention than Modi’s move to curb black money. But both have been the target of the most vocal and influential sections of the media and the ruling elite. There was hardly a media house in the US that didn’t try to demonise Trump so that he could lose the elections. Hardly any opinion poll gave him even a slim chance of entering the White House. The scene was similar in 2014, when only at the fag end of the campaign did Indian pollsters wake up to the reality of Modi winning the majority for his party. The desirability and, indeed, eligibility of both men to become chief executive of their respective nations were questioned by the ruling elite and establishment. The men’s past deeds and misdeeds were dug up to portray them as monsters, while the mistakes of their rivals were skipped over during the narrative of the election campaign. In India, the established leadership of the BJP was unwilling to accept Modi as a leader who could convert the marginalised saffron organisation into a party that could rule without leaning on the crutches of regional bodies. Modi faced massive resistance from the old guards when he was nominated as the candidate for the prime ministership. Similarly, Trump had to cross many roadblocks and defeat conspiracies from within and outside to win his nomination. Like Modi, he had a controversial past and had to face the ire of many party supporters. Even some prominent Republican leaders disowned him during the campaign because they couldn’t digest his style and his past. Highly-paid experts were hired—in America and, earlier, in India—to dig up dirt on the candidates. If the Gujarat riots were kept on the front pages to project Modi as a “dangerous” leader, many women and tax evasion documents were retrieved from the past to paint Trump as an undesirable law-breaker. Never did the media or the hired intellectuals speak about the questionable financial deals of the Clintons after they relinquished office. After the results of the 2000 elections, Bill Clinton, the charming husband of the defeated Presidential candidate, said: “The people have spoken, we’re just not sure what they’ve said.” He was reacting to the defeat of Democratic candidate Al Gore to Republican George W Bush. Sixteen years later, the Democrats and their promoters are still repeating the same line. They are unwilling to accept the changing contours of electoral politics and the emergence of a new leadership all over the world. The fact is the formal party organisation, as an institution, is collapsing. It is being replaced by individuals who are crashing into the system, taking charge and rebuilding teams with new faces and new ideas. They have neither the time nor tolerance for insiders who are unwilling to create room for others, and are unable to think out of the box. Trump and Modi are the latest in the line of the outsiders coming in and taking over. In England when the Conservatives were failing to capture British sentiments, Margaret Thatcher took over the party and the government, and introduced economic reforms. But once Thatcherism was replaced by pragmatism and conformist politics, the Tories once again lost acceptability and Labour became the flavour of new politics. In Communist Russia, Vladimir Putin was considered an outsider because of his social and economic background. But he was able to demolish the old hierarchy and dictate new terms and policies. In India, Congress hasn’t been revived because insiders are still resisting change. Most of the leaders were born with a silver spoon, were brought up by well-paid maids rather than their mothers, and went to elite schools and universities abroad. Their cultural and class coalitions keep them from any breakout thinking. The PLTs have infiltrated political parties in almost all the democracies of the world. The colour of their visible political affiliations or leanings may look different, but they wear their class comparability as a badge of pride. The current angst against Trump and Modi is really a public manifestation of the PLUs’ fear of losing power to the PLTs, who place Nation First. Both Trump and Modi are under attack by those who promote cultural and class monopoly. They forget that in a democracy, the battle is between two individuals. Class and caste don’t count. Those who accept the outcome of a democratic contest only if it suits them are the real promoters of exclusive politics. Trump and Modi will have to purge the system of class and cultural oligarchies if they have to survive. And they shall.